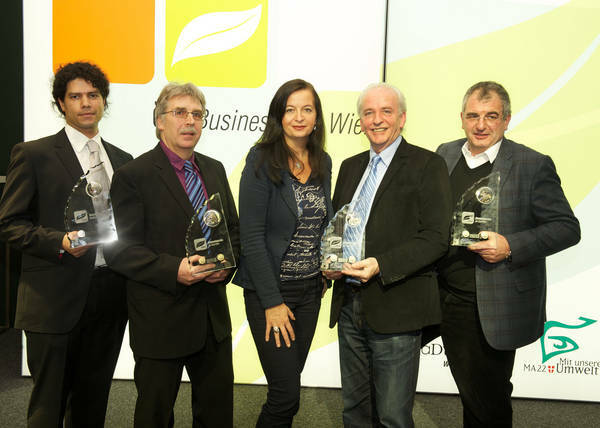 February 2013: ab&cd innovations was honored with the Environmental Award of the City of Vienna. The admired award was handed over on the 25th February 2013 at the ceremony of the Environmental Award of the City of Vienna. The award is given annually to four enterprises in due to their commitment to energy-, waste- and resource efficiency. Developed by ab&cd innovations, the technology for processing the by-product glycerol into the valuable commodity chemical lactic acid experiences an increasing public and industrial response. We are pleased to continue our contribution to environmental issues and environmental awareness.